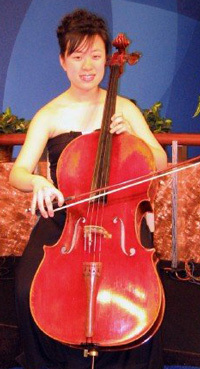 Mindy Park, age 16, a junior of Fremd High School, has studied the cello since the age of seven. As a winner of competitions, her awards include the Nancy Fuqua Memorial Young Artists Competition in 2005, the Society of American Musicians, and the String Division and Overall Winner of the Walgreen's National Concerto Competition in 2003 and 2006. In 2005, Mindy performed with the Waukegan Symphony Orchestra and in 2006, she performed with the Midwest Young Artists Symphony Orchestra. As an avid chamber musician, her chamber group was selected to perform on the Young Steinway Concert Series and advanced to the semi-finals in the Fischoff Chamber Music Competition in 2006. In December 2006, she was selected to participate in the New York String Orchestra Seminar Schneider Concerts, which led to performances at Carnegie Hall. She currently attends the Music Institute of Chicago Academy and Orchestra Program. Mindy's performances have been featured on WFMT's 98.7's Introductions and the ABC7 Chicago News. Mindy has attended the Meadowmount School of Music in New York for two summers. 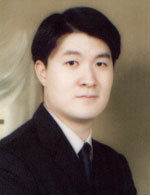 Mindy is a student of Hans Jorgen Jensen of Northwestern University.